When used in the right way, guest blog posting can be an incredibly effective promotional and link building activity to boost the awareness of your business on the web. The tactic has been used heavily by SEO specialists and agencies for over two decades. The tactic had been abused by people, who just wanted to publish content in order to generate links to their website, but the content added little or no value to people on the web. When guest blog posting is done in the right way, it is an extremely effective “white hat SEO” tactic that will help to build an online audience that will follow and share the content that your site produces. What approach do we take with guest blog posting? We want to connect our clients to their target audience on the web. There are several online communities that are actively looking for information and insights that they can share with their audience. Being featured as a guest blogger is a great way to gain exposure and to enhance your own or your business’s perceived “authority” on the web. We are successful with our guest blogging because of the following. We pay attention to quality, not quantity. The biggest problem with guest blogging over the years has been that people have been getting links for the sole purpose of generating backlinks to websites. Although this is good for SEO, many webmasters were churning out content that was thin and not valuable to the internet community. In fact, alot of the content that is produced solely for getting links might be visited once, then it is never visited again. Guest blog posts that are published in this manner are spam. Our approach focuses on publishing content that will be valuable to the internet community. In the best case scenarios, the content will be shared and create opportunities for exposure, web traffic, leads and sales. We focus on getting our clients in front of the right audience. This is the other area where many webmasters have gone wrong when doing guest blogging. Because they don’t focus on getting in front of the right audience, the relevancy of the sites that they feature on negatively affects the SEO campaign over the long-term. By getting in front of the right audience, it is easier to get those posts to work for your website and to improve the SEO performance on autopilot. By getting in front of the right audience, there is an increased chance that influencers will connect with the content that’s being published and will share your content or even offer collaboration opportunities with you or your business in the future. We continously look for opportunities to find audiences that we can connect our clients with. We understand how busy you are and that you cannot afford to look and engage with these opportunities on a full-time basis. That’s why we want to be your outreach solution to help you find and secure these guest blogging opportunities so that your online brand profile and authority will improve, as well as have a positive influence on your website’s SEO ranking performance. We focus on delivering value to the audience. Matt Cutts, who is the former Head of Webspam at Google, deterred webmasters from engaging in guest blogging because the practice had become so spammy. He was right (as you can see in this post), however it is still a practice that can be used effectively as long as the content provides value to its targeted audience. It is easy to see if the content is providing value, as the community will typically share or engage in a discussion on the content that has been published. What kind of SEO results can you expect to see with guest blogging? It depends on the niche industry that you operate in, but in some cases, you might only need to get a few links from relevant and authoritative sites to see a significant impact in your site’s SEO performance. 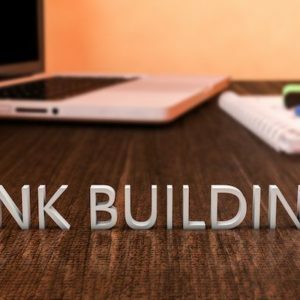 This post talks about how a site was able to rank on the first page of Google by implementing a link building campaign that consisted of over 100 guest blog posts. Would you like to find out more about guest blogging opportunities for your SEO campaign? Get in touch with one of our consultants who can advise you on the guest blogging opportunities that you can take advantage of. Ready to start guest posting? Click the button below to make your order.